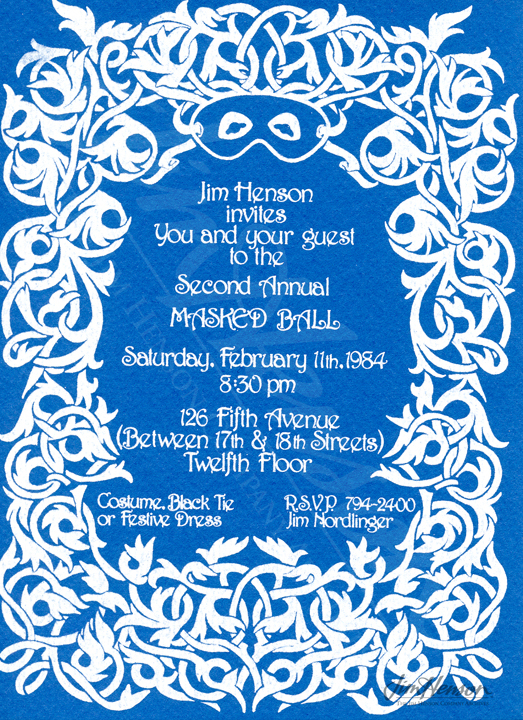 Jim enjoyed entertaining, especially as a way to thank those who helped him to pursue his artistic vision, and he hosted four masked balls in the 1980s. 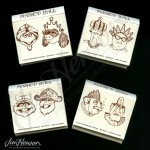 The second one was held at a rented loft on lower Fifth Avenue, and it provided a chance for the Henson staff to let loose with their creative energies and create ambitious costumes. Business associates, friends and celebrities received invitations, and by all accounts, these parties were tremendous fun. 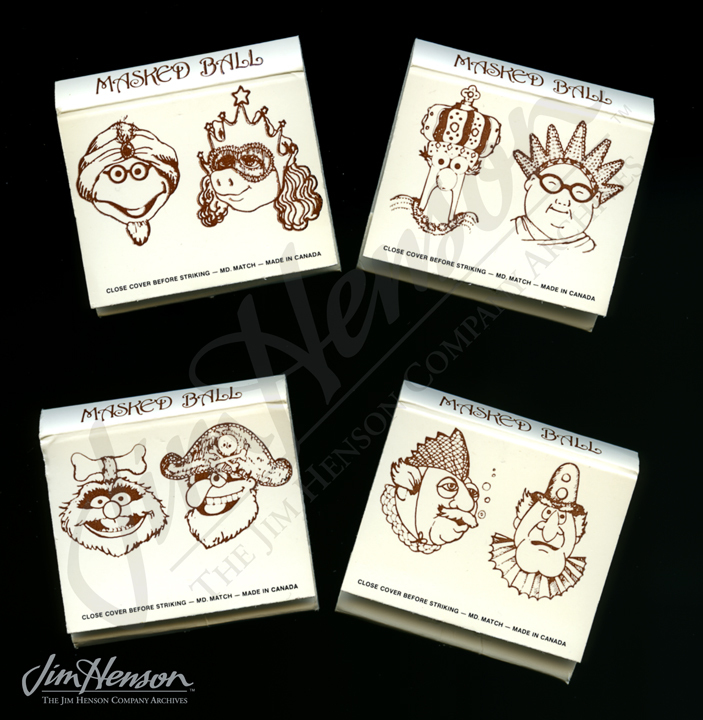 See more details about Jim’s masked balls. 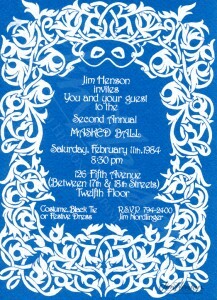 Invitation to the 1984 Henson masked ball. 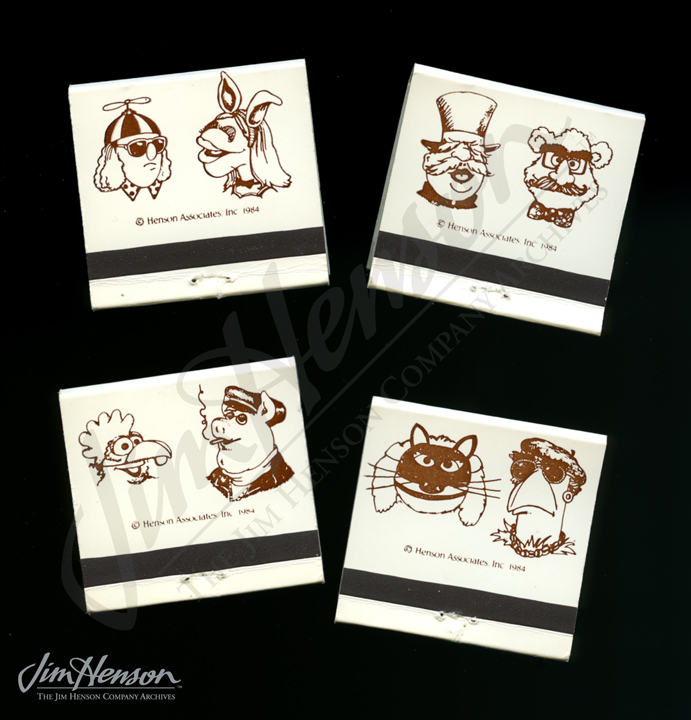 Special matchbooks created for the 1984 masked ball. 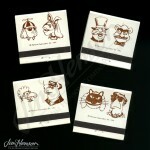 This entry was posted in 02-February '84, 1984, Social and tagged masquerade balls. Bookmark the permalink.